No costly upfront investment for your business phone system! Hosted phone services can improve your image and save you money on the same time without the expense of buying and maintaining your own phone system. With hosted pbx services, you can make your home-office, virtual office, or one-man company’s phone system just like a big company. No contract, only monthly services fee Unlimited 2 way calling with calling features of your choice. My one-man company looks like a big company ! Why not improve your business image start with answering your phone professionally and consistently with the Auto Attendant. How about using Voice Mail when you are away, on the phone, or busy? Impress your clients with a professional image, and never miss an important call. I never know I can save this much ! 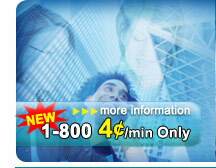 Pay monthly service fee as low as $16.95/mo per extension, without investing expensive phone system. 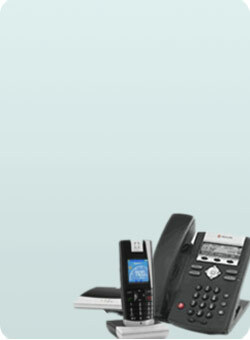 Enjoy the full features professional phone system only at a fraction of cost and extensible when your business growth. And yes, you get free long distance calling to 20 major Canadian Cites. So easy to setup, work anywhere ! Take advantage of the new technology. The most ideal solution for remote office, remote worker. With hosted services, your extension will not be limited to one geographic location. The extension can be anywhere, as long as it is on the Internet. Read what our customers have to say about us in these case studies. The Audio conference let you easy utilize the service while maintain the comfortable security. The sleek and elegant "Plug and Play" IP phones from Polycom and Snom fully extend the functionality and flexiblity of advance PBX system. Users simply connect those phones into any public or private Internet connection and can start to enjoy the services. Service Currently Only Available in BC and Alberta! Hosted PBX phone systems have all the telephone features that used to be available only for large enterprise phone systems.